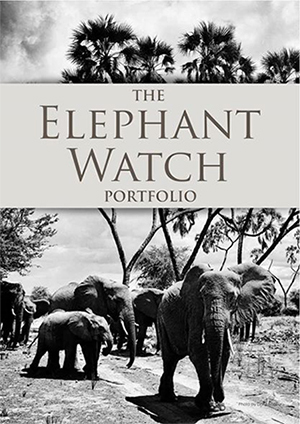 Elephant Watch Portfolio’s Bespoke Safaris are an opportunity for us to pass on to you all that we know and love best about the African continent. It is the passion of Oria Douglas-Hamilton – a Kenya-born descendent of French and Italian families that have called East Africa home for close to a century – and that of her family, that has pioneered all that we do. Their dedication to showing visitors the best that responsible tourism can offer comes from decades of travel to some of Africa’s most pristine wilderness locations, a lifetime fighting to save elephants, and meeting many of the expert professional guides, safari hosts and conservationists who share their passion for the wild world. She first trialled her ideas for sustainable tourism when she turned her family farm in the Rift Valley into a wildlife sanctuary, converting her old home to a boutique hotel, Olerai House. Then she dreamed of creating the ultimate luxury tented camp with the highest eco-credentials, so she built Elephant Watch Camp in northern Kenya, recycling old trees that had been knocked down by elephants, and blazing a trail for responsible tourism. Friends and guests who came to stay soon asked her to recommend other such places of a similar ilk. As she conjured up their safaris, arranging visits to friends’ camps, ranches, villas or lodges, with a keen eye for detail, her tailor-made Bespoke Safaris were born. Oria’s personal touch makes every safari special. Each blends the soul of all that is best in Africa with unrivalled access to indigenous communities, profoundly moving encounters with the continent’s most intelligent sentient creatures, and the opportunity to get involved in cutting-edge conservation. Each safari is a deeply immersive experience that lives on in one’s dreams for years to come. Your safari will be designed following extensive consultations between you, our planning team, our guides and hosts, and our specially chosen partners across Africa. If you tell us your dream is to understand elephants, we will introduce you to pioneering researchers while also arranging your light aircraft and personal safari guide for a stay in a leading eco-lodge and days out among the herds in the wilderness. You might say you would like to see gorillas – we’ll arrange the flights, the four-wheel-drives, the boutique hotels, the world-class guides and the park permits. Always imagined yourself at the tiller of a wooden lateen-sailed dhow? We will put you there in the ocean spray, and arrange your luxury seafront room where you can relax after a salty windswept day on the waves, and feast on coconut rice and Swahili dishes of spiced fish. How do you choose your guides? What kind of hotels do you use? What is the tipping protocol on safari? Can you accommodate special dietary requests? All of your questions should be asked and answered here.